Hi. 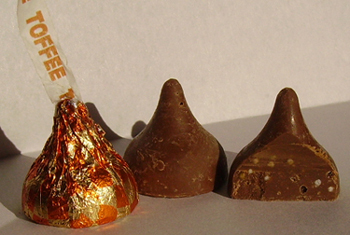 My name is Zoë, I'm fifteen years old and here is my HERSHEY'S KISS Collection! 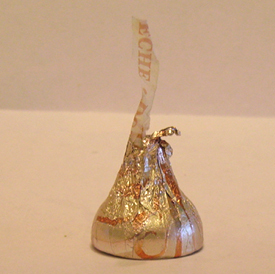 I started collecting kisses in 2005 when I was six and still love collecting them! 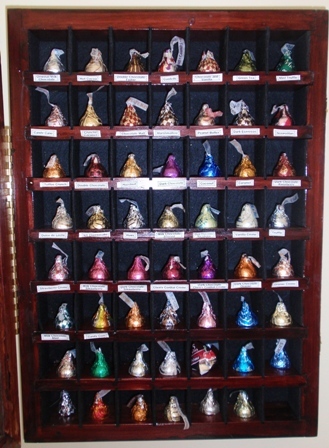 I currently have 57 kisses in my collection and I know of six varieties that I don't have yet (see list at bottom). 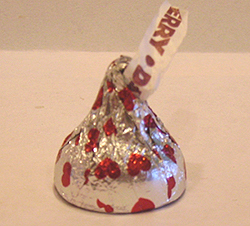 As far as I know, HERSHEY'S hasn't released a new kiss in three years, so if anybody has more information than I do, please let me know! So check out my collection then let me know what you think! Email me at ZoesEmail123@gmail.com with questions, comments, or better yet, let me know if you've found anything new. (acquired 4/29/2011). I saw these at Target!!! 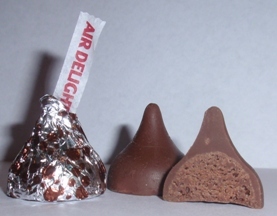 Air delights will be found in bar or kiss form. 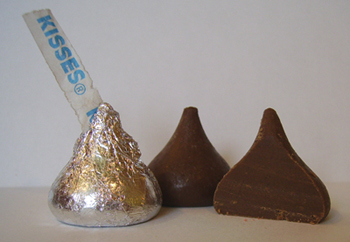 These kisses have a hard milk chocolate shell and a creamy center filled with air bubbles. 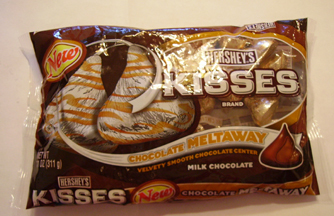 They taste similar to the melt-aways, but are soft and light. 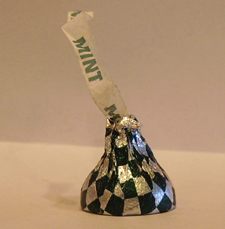 I heard about these first from a web-tip from Kelly, thanks Kelly! The same day, my grandmom called from Walmart in Florida where she bought me a bag (02/25/2010)! so THANKS everybody for keeping your eyes peeled & letting me know about them!!! 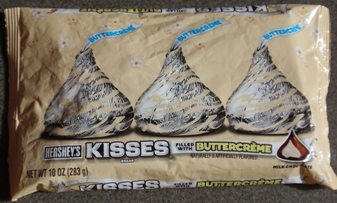 To me, they taste like milk chocolate filled with buttercream cake icing! 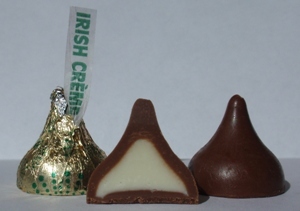 My grandparents say they taste like irish creme drinks. 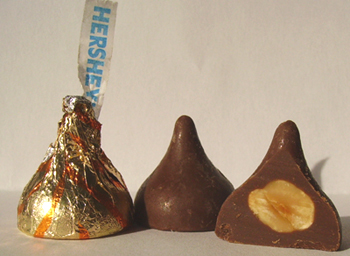 They taste pretty similar to the originals with a hint of brownie flavor and they melt in your mouth. 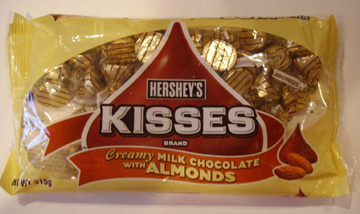 They taste very similar to the regular milk chocolate with almonds, but the chocolate is a little smoother. These taste just like pumpkin pie! 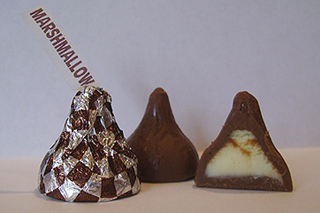 These are Milk Chocolate with a creamy marshmallow center. 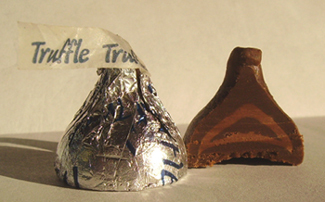 These taste more apple than caramel! I think they're sweet tasting. 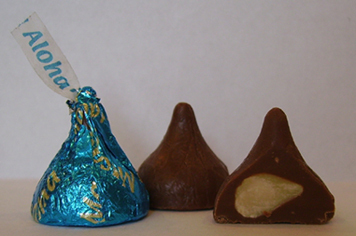 These are similar to the Dark Chocolate Macadamia Nut, but they're made of milk chocolate instead. 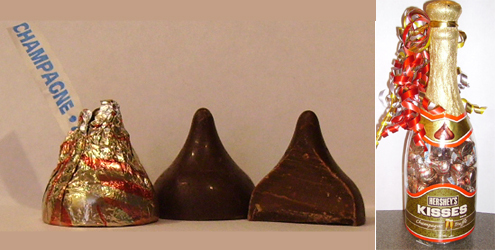 These are milk chocolate and similar to the Cherry Cordial Creme, but the center is a little different. They came in a 5-pack. I'm not a big fan of these because I don't like yogurt. 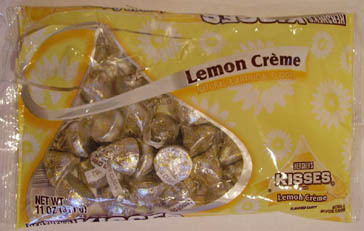 It tastes just like the name - lemony and creamy. Yum! or so my mom says. But there's absolutely no alcohol in it. My dad ordered these from England. 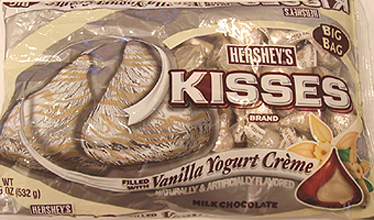 White chocolate with cookie bits (like oreos) inside! My dad ordered these from England. 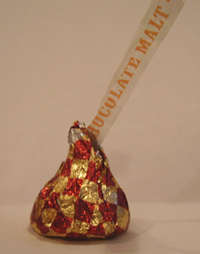 Not as sweet as original milk chocolate, but tastey! 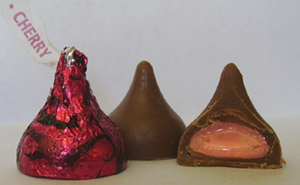 Milk Chocolate hugged by raspberry white creme. 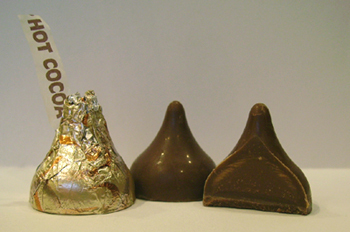 Dark chocolate on top, milk chocolate on bottom, drizzled with white chocolate. 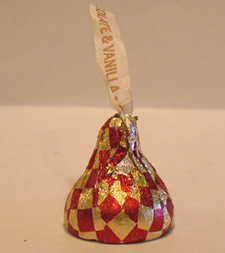 White chocolate with a caramel flavor. 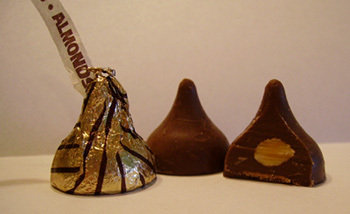 Milk chocolate with a hazelnut in the center. This bag had chinese writing on the front! 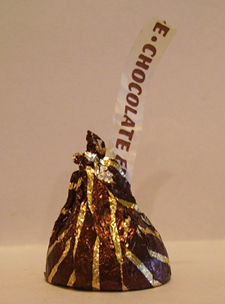 Milk chocolate made to taste like marshmallow throughout the kiss. 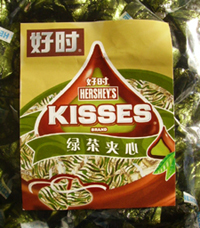 Milk chocolate with green tea center. 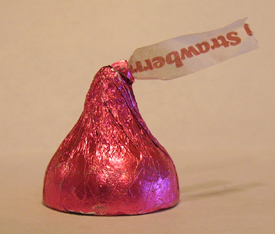 Milk chocolate with strawberry creme center. 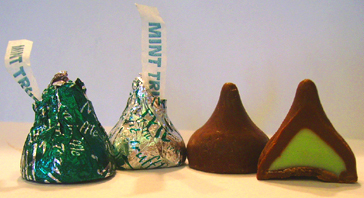 Dark chocolate with mint creme center. 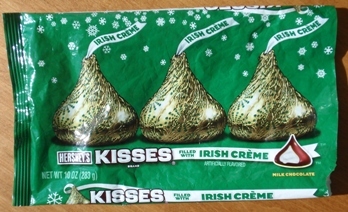 The bag came with two different wrappers colors. 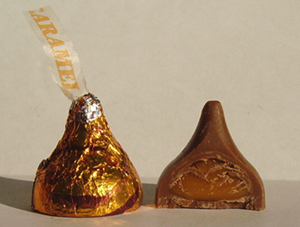 little pieces of toffee inside. 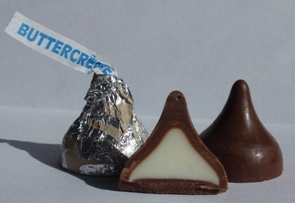 Milk chocolate with cheesecake center. 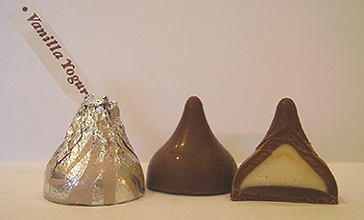 1/2-way between an original kiss & truffle. 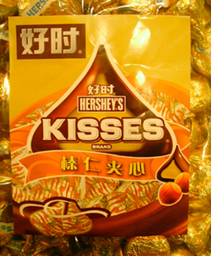 Tastes sort of like malted milk balls. and white on the bottom. 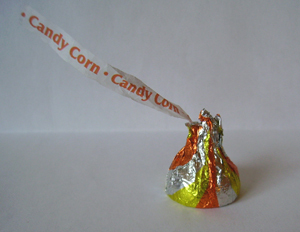 Tastes like candy corn! 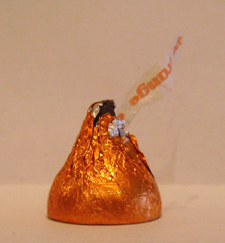 and little caramel candy pieces inside. White chocolate with colored sprinkles inside. 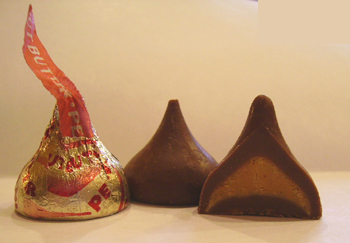 Milk chocolate with peanut butter filling in the center. 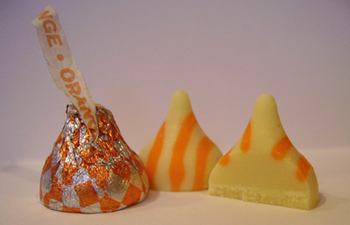 White chocolate with stripes of orange. 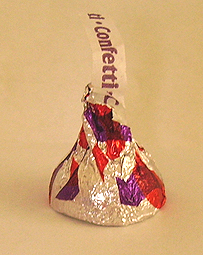 Dark chocolate with milk chocolate creme filling. 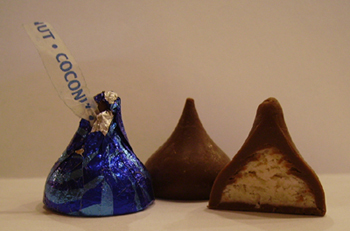 Milk chocolate with coconut creme in center. 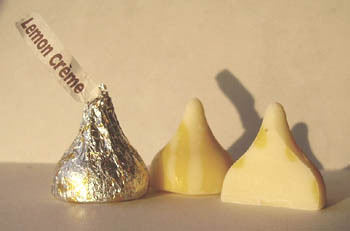 White chocolate with stripes of milk chocolate. 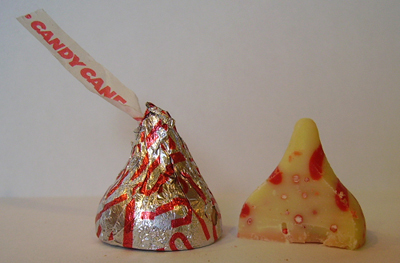 White chocolate with red mint sprinkles. 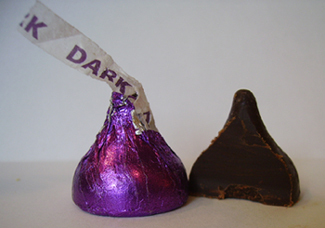 Dark chocolate with strong coffee flavor. 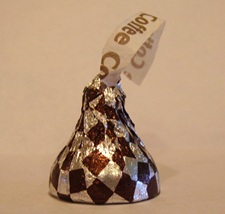 Milk chocolate with vanilla créme center. 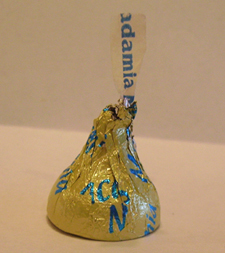 Dark chocolate with a macadamia nut in the center. 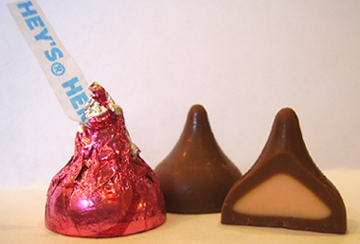 white chocolate, strawberry, and milk chocolate. 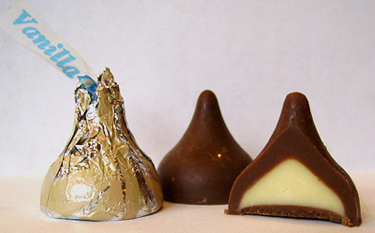 White chocolate on top & milk chocolate on bottom. 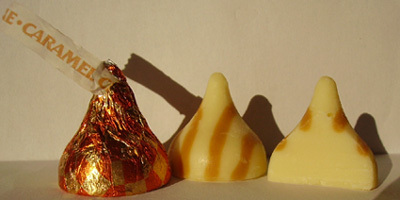 White chocolate with caramel center. 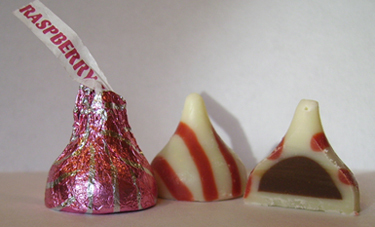 White chocolate with stripes of strawberry. 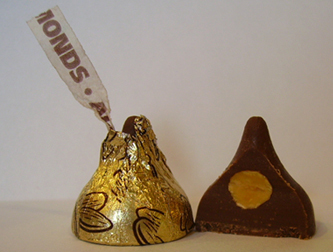 Milk chocolate with an almond inside. 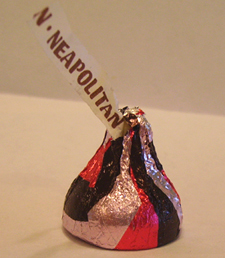 Dark chocolate with raspberry cream center. 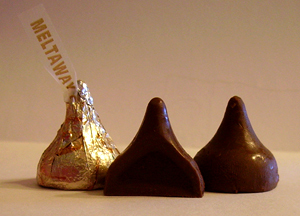 Milk chocolate with caramel center. 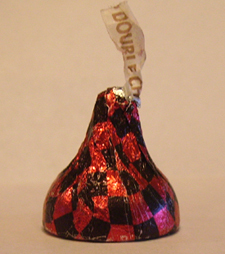 Dark chocolate with cherry cordial creme center. 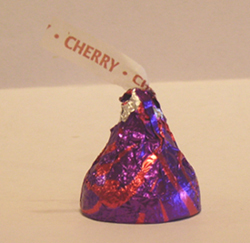 Milk chocolate with cherry creme center.